The Open Government Partnership (OGP) was launched in 2011 to provide an international platform for those committed to making governments more open, accountable, and responsive to citizens. There are now 70 OGP participating countries who have made over 2,250 commitments to make their governments more open and accountable. In each member country, government and civil society are working together to develop and implement open government reforms which ensure people can see, understand, participate in and influence the workings of government and to hold government to account. Scotland has been chosen as a partner in the Pioneer Programme 2016-17, a new initiative designed to more proactively enable subnational governments to participate in OGP. During it’s Pioneer term, Scotland will be able to work directly with the OGP, sharing learning with the other Pioneer Governments, as well as learning from the wider international OGP community. It also allows us to present Scotland’s Open Government reforms to an international audience during the Open Government Partnership Summit in Paris in December 2016. Building the movement: We are working in partnership with civil society to create an open government movement in Scotland by connecting to new organisations, and finding new partners at home and abroad. Developing an Action Plan: Our action plan will show clear commitments to making Government in Scotland more open, accountable and responsive. 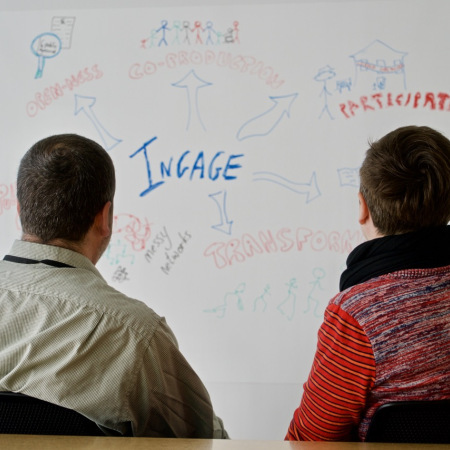 Engaging with people: We are working with people from all walks of life to shape and create Scotland’s OGP agenda. This includes face-to-face engagement and well as digital interaction, such as the OGP Scotland Wiki. Engaging with the reform of public service: We are increasing awareness of people and public services in the benefits of open government, in the importance of increasing democracy and participation, as well as in the impact this has on improving services. Learning together: OGP presents Scotland with a huge learning opportunity, and also allows us to highlight our strengths and to share our own learning on Open Government both within the UK and internationally. Sharing our Story: OGP Pioneer Status give us a great opportunity to share and create a clear story about how Scotland is reforming Government and Public Services, and the impact this has, from the streets of our towns to the United Nations.